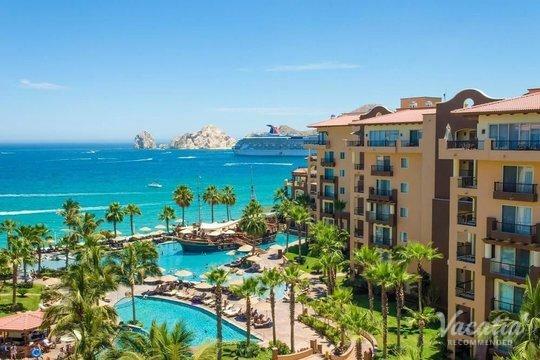 Cabo San Lucas, also known as Cabo, is a one-of-a-kind vacation destination in Mexico. The beauty of its scenery, the energy of its party scene, and the thrills of its outdoor activities provide a perfect balance of experiences. 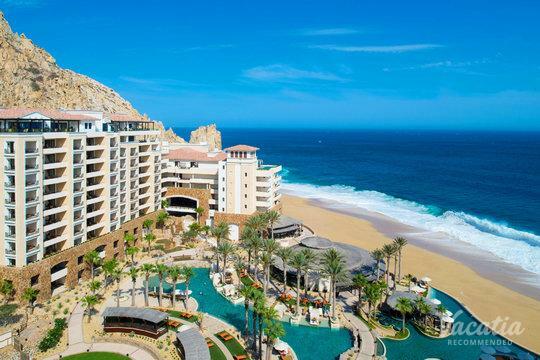 Once you've decided to stay in Cabo, you'll need to look online for Cabo San Lucas beachfront resorts. A quick Internet search is sure to give you a ton of options, but they might not always be related to what you had in mind. Instead, you should work with Vacatia. 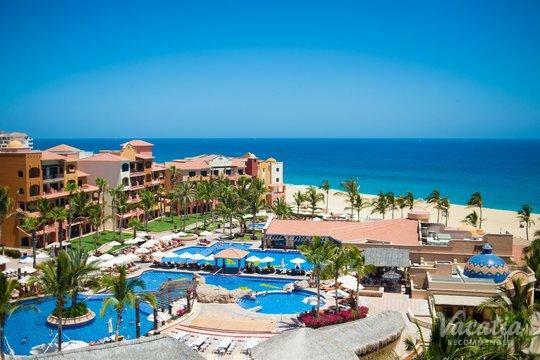 Our detailed and extensive database has been comprehensively organized so that you can find Cabo San Lucas beach resorts quickly and easily. Our highly recommended lodgings guarantee you a fun, high-end, hassle-free accommodation experience. Our friendly and knowledgeable Guest Care team is always ready to answer any of your questions, which means that you'll know exactly what you're getting before you leave home. 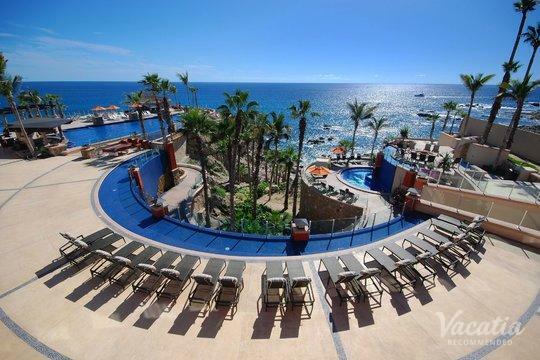 It's hard to find accommodations more luxuriant or fun than Cabo beachfront resorts. You'll have all manner of services and amenities at your disposal, and you won't have to worry about a thing. 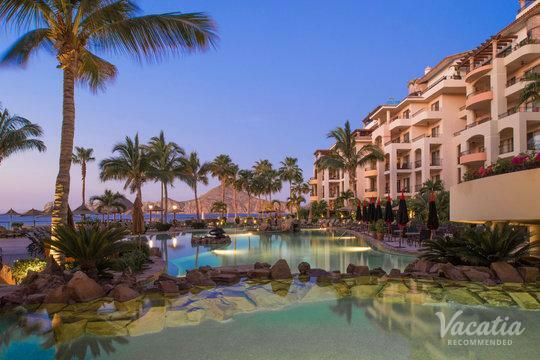 Some vacationers, however, also want to enjoy the comforts of home during their getaway. This is why Vacatia offers something called resort residences. You'll get the best of both worlds when you book one of these unique lodgings. 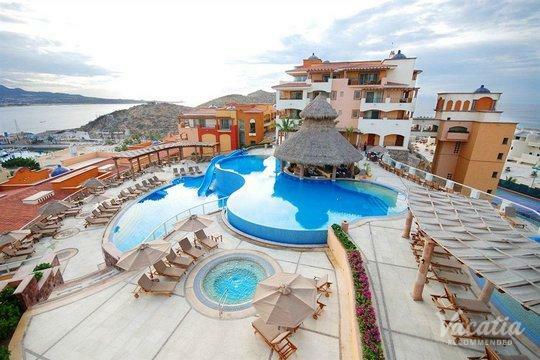 In addition to all those resort benefits, you'll also get your own spacious living area and fully equipped kitchen. 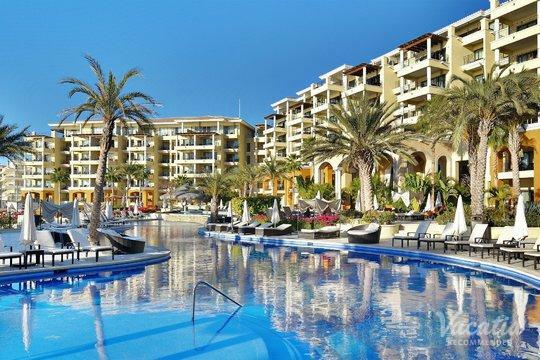 Concierge check-in, daily housekeeping, gourmet on-site dining, fun pools, relaxing spas, and more will all be at your disposal. You'll also get to hang out with your friends and loved ones in your own space, and you can cook a few meals to save on food costs. 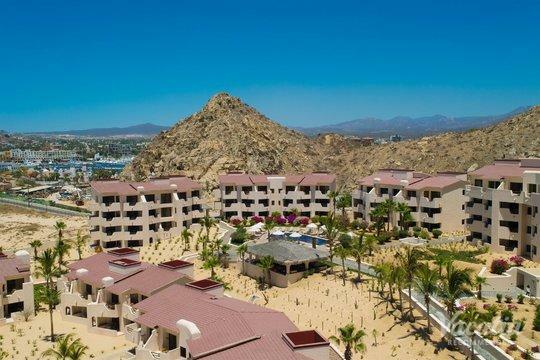 Booking one of our beach resorts in Cabo San Lucas is just the first step in your vacation plans, but it ensures that you'll have a comfortable and stylish space as your home base in this unforgettable destination. 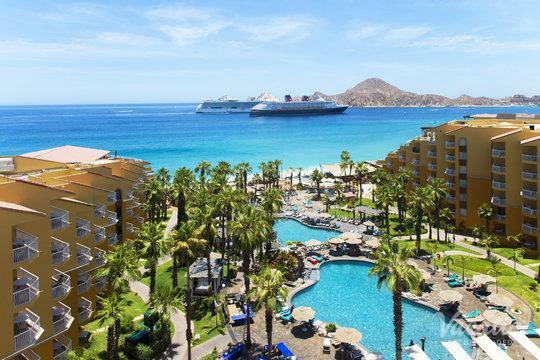 Cabo's swimmable beaches are protected by beautiful Land's End, and a short walk along the shore will lead you to all manner of outdoor activities. 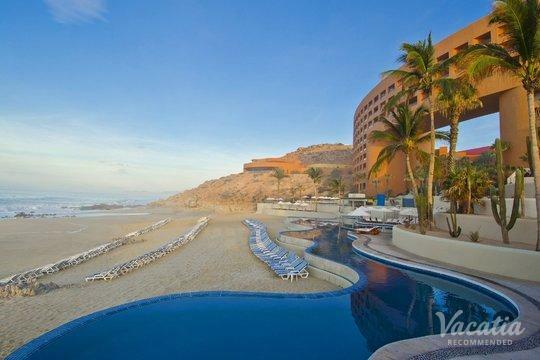 You can go horseback riding, parasailing, banana boating, kite surfing, snorkeling, diving, and more. You can also rent a car to explore the natural beauty outside of the city limits, which is home to caracara birds, arroyos, and cordon cacti. As the sun sets, you can gear up for a night of partying in the city's many clubs. These funky venues are full of conga lines and margaritas. 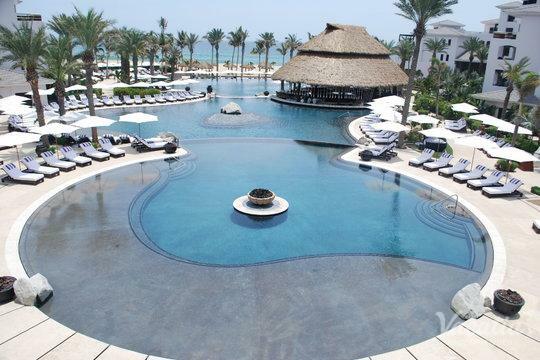 After all this excitement, you can return to your beachfront resort to rest up for the next big day.